As you know we often have our friends in travel write up their top recommendations or how to experience something we’ve not done. 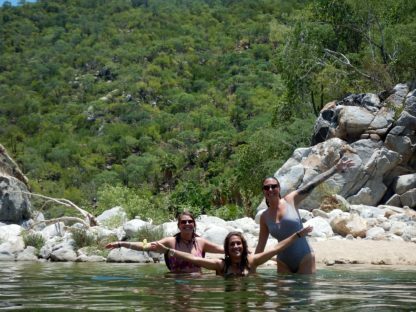 Our amazing friend, Karen Bradfield at Adventures in Baja, has put together her top recommendations for responsible tours and wildlife experiences in the Los Cabos area and we’re so glad to be able to share. You know that ecotourism is something we’re very careful about and we’re thoughtful when we recommend something, so please listen to Karen’s recommendations and advice when it comes to planning your next ecotours in Cabo San Lucas. 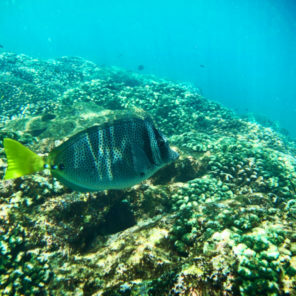 **this article is NOT sponsored by anybody, but just is informative about what to expect and how to be respectful when you’re a guest in the ocean. 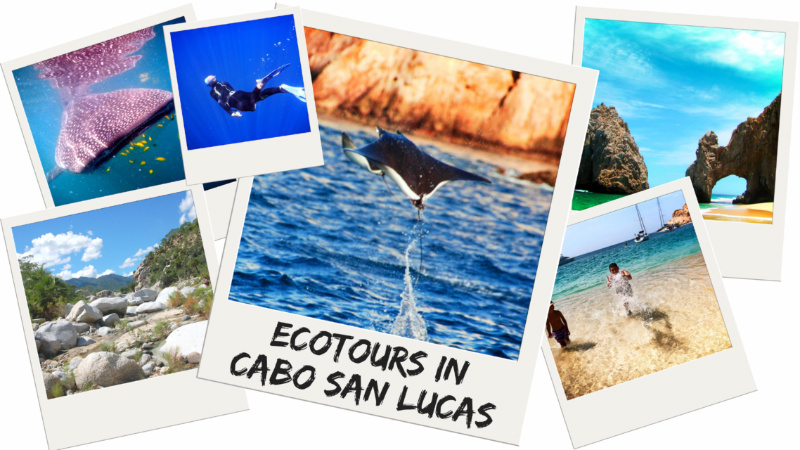 Why are Ecotours in Cabo San Lucas exceptional? For many, touring Mexico and experiencing the unique geology and wildlife is the trip of a lifetime. Baja California offers incredible, thrilling adventures and opportunities for everybody to explore and appreciate nature, and there are several ecotours in Cabo San Lucas and nearby that are well run and ideal for families. Have you ever wanted to pet a whale calf? 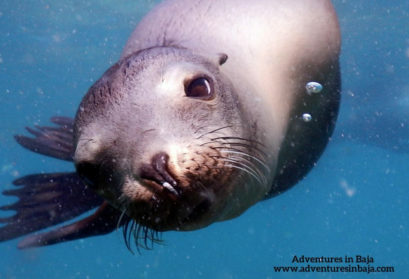 Maybe swim with unforgettable whale sharks or experience the antics of friendly sea lion pups staring into your eyes? 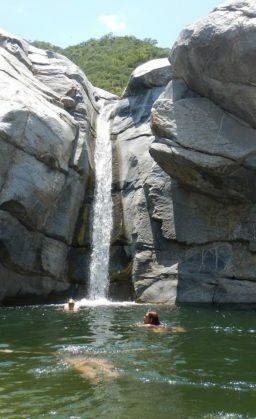 Or even hiking the river valleys of Mexico and jumping into waterfalls? 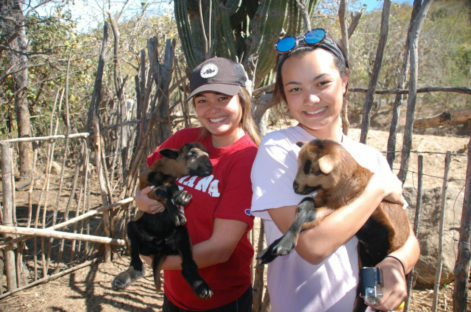 These are just a few of the remarkable experiences that you can share in Baja California via ecotourism and making responsible tourist choices. The Baja California Peninsula is 1000 miles long, skirted by pristine beaches and idyllic islands. Infamous explorer Jacques Cousteau described the abundant seas here as the “Aquarium of the world”. It’s not only the Sea of Cortez that is filled with life but also the deserts of Baja California that are packed creatures and vegetation. You will see spectacular ever-changing landscapes: from dry cactus forests to lush river valleys. Planning a vacation and ecotours from Baja’s tourist hub of Cabo San Lucas offers you a nature spectacular both above and below the water for you and your family. Cabo San Lucas is located at the very end of the Baja peninsula and here the Sea of Cortez meets the Pacific Ocean. This creates a very special ecosystem where 32 species of marine mammals visit to feed throughout the year; they also come to Los Cabos give birth and breed, ranging from the impressive blue whale to tiny phytoplankton. Between the unique landscape and the migratory populations, it’s unlike anywhere else on earth. Before you go booking whatever tours you find online, know that not every tour operator is properly guiding guests to thoughtful, low-impact ecotours. Be wary of the company you book with and research via Trip Adviser, Google reviews, and travel blogs just what guests experienced, particularly regarding anything that may seem like a red flag to you. But then there are incredible, passionate ecotour operators that approach wildlife tourism with respect and safety. They have and share knowledge, they educate their guests and conservation is at the forefront of their ecotours in Cabo San Lucas and beyond. 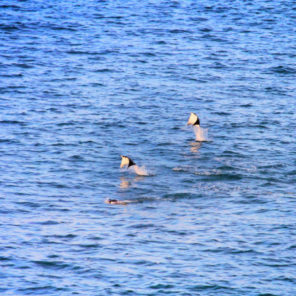 You see people online visiting Los Cabos and making the trek north to see baby whales in quiet lagoons. The whales are the tip of the iceberg however. The diversity of marine life includes whales, whale sharks, dolphins, sea lions, 900 types of fish and massive schools of leaping manta rays. Whether you have a long weekend or several weeks, there are Cabo wildlife experiences that will fit with your available time. 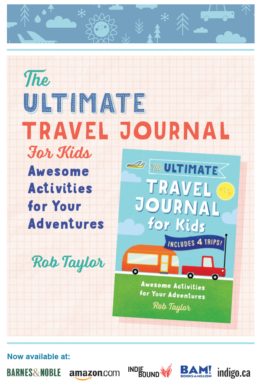 Or if you are looking for unique and incredible adventures that will make your children squeal with excitement and take home memories that will stay in their dreams forever. So where do we start? How about the formidable largest (friendliest) shark in the world? 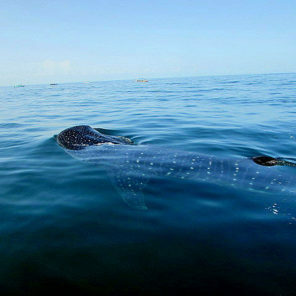 In the Sea of Cortez close to La Paz there is a population of Whale Sharks. Ok, yes they are sharks, but they don’t have teeth and they are filter feeders and eat mainly plankton. Affectionately known as gentle giants the adults can grow to an enormous 40 foot and can weigh up to 20 tons. They scoop plankton from the surface of the ocean while swimming or can be seen vertical feeding where they can filter literally thousands of liters of water daily. Snorkeling with whale sharks for many is a bucket list dream and it’s possible to take your family, including young children, to enjoy this awesome adventure. 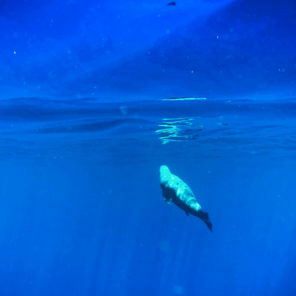 Non swimmers also have an amazing view from the boat as the whale sharks are so close to the surface. 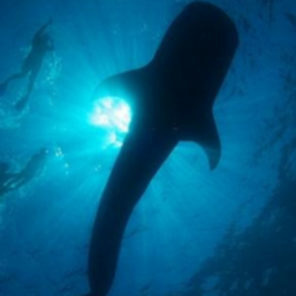 In 2017 the Mexican office of the environment, SEMARNAT, stood up to protect the whale sharks in La Paz, based on great research from NGOs’ such as Pelagios Kakunja and the Whale Shark Project. They introduced specific guidelines and training for guides and captains. 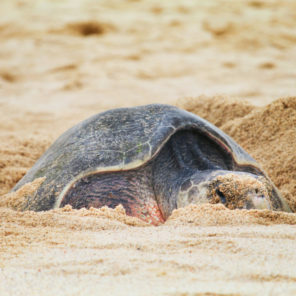 This is a huge step in protecting this endangered species and towards sustainable eco-tourism. 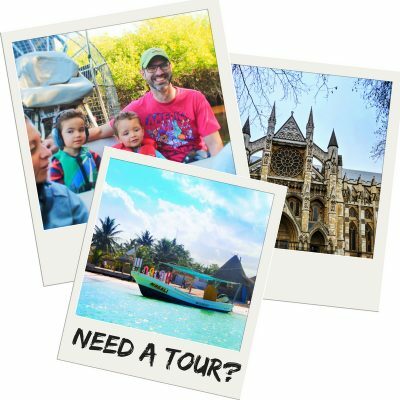 If this is a bucket list experience for you or your family, do it, but be sure that you’ve researched and that you’re going with trained ecotour operators. Just imagine your children going home to tell their friends that they swam with a 30 foot shark! 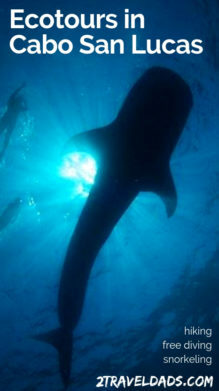 Check out our friend Erin’s blog sharing her experiences in La Paz and swimming with whale sharks. 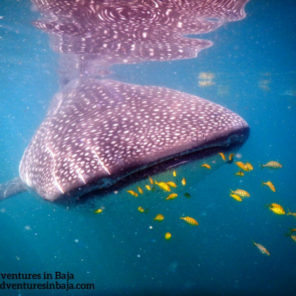 Tour Booking: top recommendation for a Whale Shark encounter is Adventures in Baja (Karen wrote this article). If AIB is unable to confirm your booking or directly refer you to their preferred partners, tours with an EFR certified guide may be booked here (La Paz) or here for a Cabo San Lucus departure. Then there are whales… We proudly say that the whales are “made in Mexico” as the visiting whales migrate thousands of miles to make their home here from December to April every year. The humpback whales are well known for their impressive aerial displays, breaching, tail slapping and singing to attract a mate or simply for fun. When it comes to picking ecotours in Cabo, many operators run marine biologist-led whale watching tours daily from Cabo San Lucas. With an expert on board you can learn about the behaviors and watch the magnificent displays, an experience that your children may never forget. In 1933 Mexico declared its waters a sanctuary for whales and since then the numbers of visiting whales have increased dramatically. They also introduced rules for whale watching activities so it’s important that you choose your operator carefully to ensure they respect the recommended distances. How these incredible mammals could ever forgive humans for hunting them almost to extinction is quite unbelievable, but now the lagoons are protected whale sanctuaries and listed under UNESCO. During the whale watching season the local captains work with the tourists instead of fishing; they love the whales too. 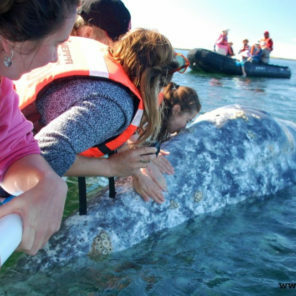 The small towns beside the lagoons celebrate the whales with annual festivals and run school programs to educate the local children including boat excursions with the whales, building a future towards sustainability in ecotourism. 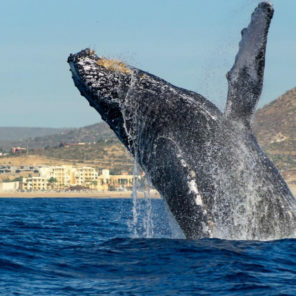 Still need some inspiration for finding ecotours in Cabo to visit the whales? Check out a video of our most recent encounter with the grey whales. note: humpbacks frequent the area too but do not demonstrate the same behaviors as grey whales in the Sea of Cortez do. 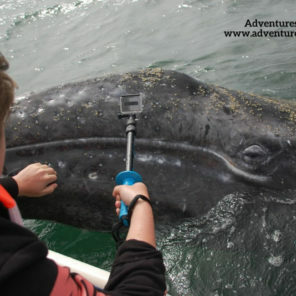 Tour booking: Adventures in Baja runs dedicated tours, 2-day excursions or custom trips, to see and meet the grey whales. Go with a respectful pro when you’re considering your options for ecotours in Cabo. Have you ever jumped into the water with a colony of sea lions? 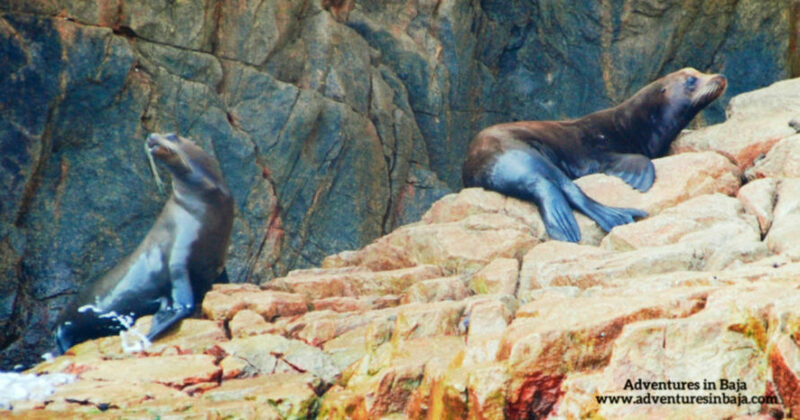 Well if you’re from San Francisco or have been to visit Pier 39 it’s possible that maybe the last thing on your mind, however on the Island of Espiritu Santo there is a large colony of friendly and playful Californian Sea Lions. These Sea lions have shared their colony with snorkelers for many years and the pups enjoy showing off their swimming skills to us and find our fins good for teething pain. Note: Rob here, I’ve snorkeled with the sea lions at Cabo Pulmo just north of San Jose del Cabo and can attest, it’s amazing!!! The uninhabited Island of Espiritu Santo is a UNESCO World Heritage Site and a National Park. it was formed by tectonic plate activity and volcanic deposition over millions of years: it’s truly beautiful and a geologists dream. It’s fringed with deserted white sandy beaches, coral reefs, with colonies of blue footed boobies and frigate birds and the of course the adorable sea lions. It’s a fascinating day trip deep in nature. Check out this video! You can see how inquisitive the pups are. 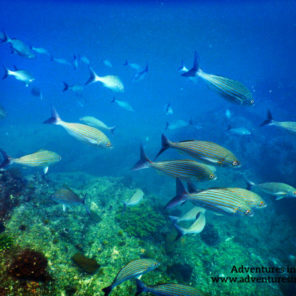 Tour booking: preferred ecotours in Cabo and the Southern Baja is always Adventures in Baja. For information on their Espiritu Santo tours, check it out here. If they cannot book your tour for any reason, here’s a backup plan. 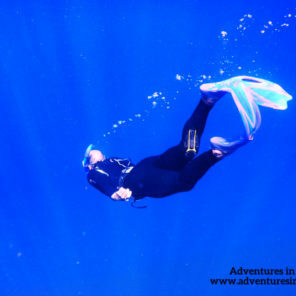 A very special experience you can also find in Cabo San Lucas and the waters of Los Cabos is guided free diving. What is free diving? Well, you’ve heard of SCUBA diving, no doubt, which involves certification and diving with air tanks. Free diving is a method of deep diving without tanks for as long as you can safely hold your own breath. This might not sound doable, but it’s actually amazing. Once you’ve had a few attempts at teaching yourself to remain calm and to regulate the pressure in your ears underwater, the world completely opens up to you. SCUBA Crews to trust: if you’re unfamiliar with Girls That Scuba, it’s an incredible group of women dedicated to sharing the sport of scuba diving with ladies from around the world. They also do free diving events. 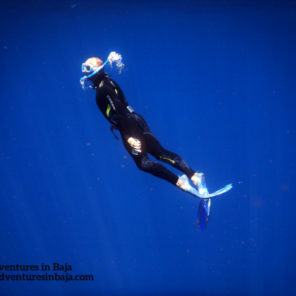 And Dive Ninjas: we cannot forget the really amazing people working with Dive Ninjas out of Cabo, educating visitors and leading them on one-of-a-kind expeditions all around the Baja. 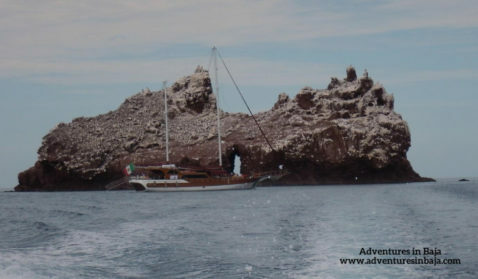 Of the many incredible ecotours in Cabo San Lucas, a top recommendation is a day on the water with the Pelagic Safari. 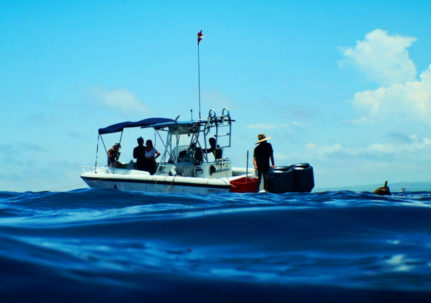 Led by a top notch diver and marine activist, Regina Domingo, and a team of naturalists and captains, the Pelagic Fleet is amazing to go exploring with. 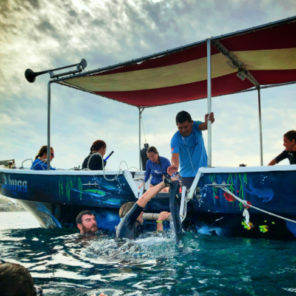 Known for leading guests to safe, unforgettable shark free diving expeditions, they blend education and once-in-a-lifetime encounters with wildlife. 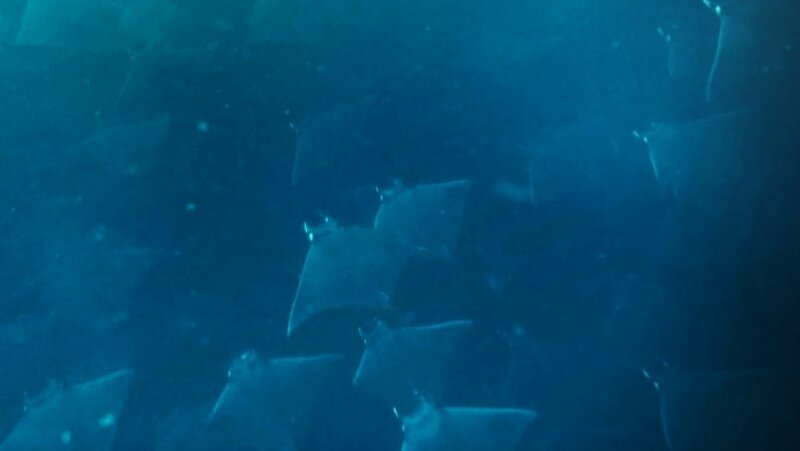 I (Rob again) had the most remarkable day on the water with the Pelagic team as we swam with sea lions and mobula rays, watched giant mantas and marlins jump out of the water, and chummed (responsibly) for sharks. My particular trip didn’t have any sharks present, but the expeditions on the days prior had great luck. I’d go again in a heartbeat. 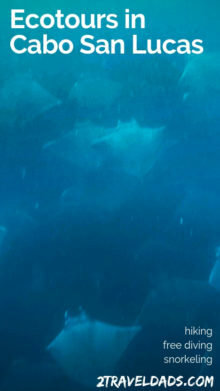 Free diving with wildlife is spectacular and otherworldly. 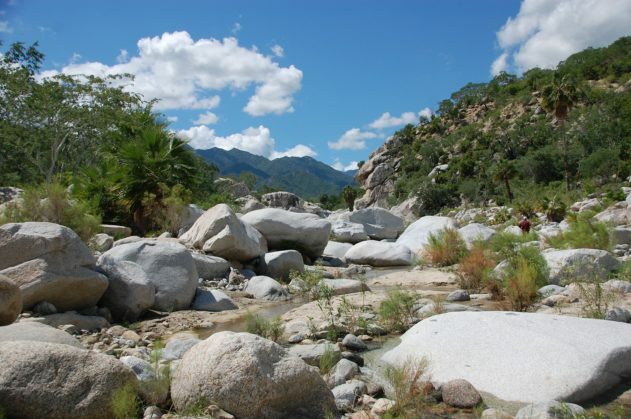 While it’s hard to leave the stunning ocean and coastline, a hiking tour to the Sierra de la Laguna biosphere reserve is a must while you are in the Baja, and truly this is one of the most unique ecotours in Cabo. 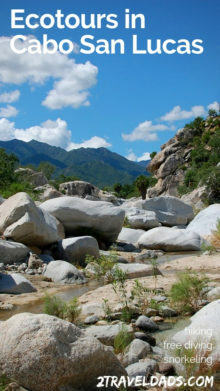 The Sierra de la Laguna has its own microclimate so is cooler and full of plants and wildlife unique to the area. The peace and tranquility is astounding. 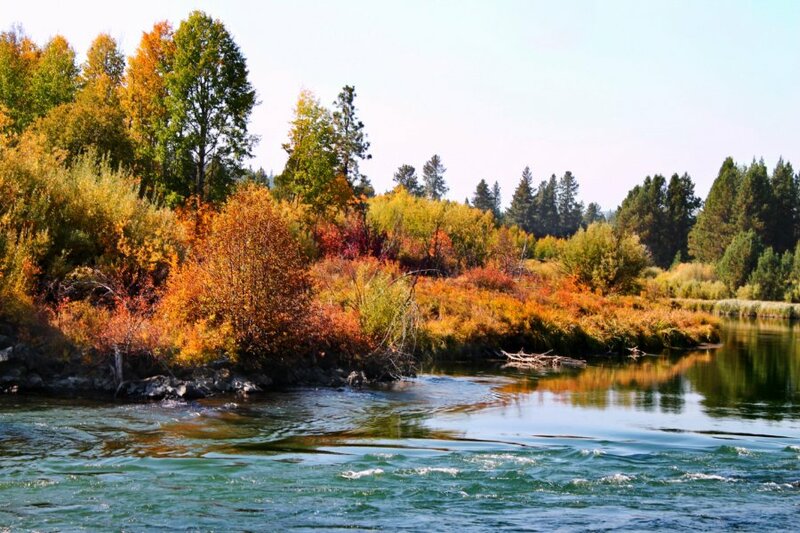 Here there are rivers and temperate forests, and many great hiking trails of all levels. Plus there are some fantastic ranchers who love to share their life stories with the children and their love for this special place. Not many consider hiking in the mountains of Baja as a feasible tour plan when they’re planning their vacation to Cabo San Lucas, so getting to do an ecotour like this is really special. 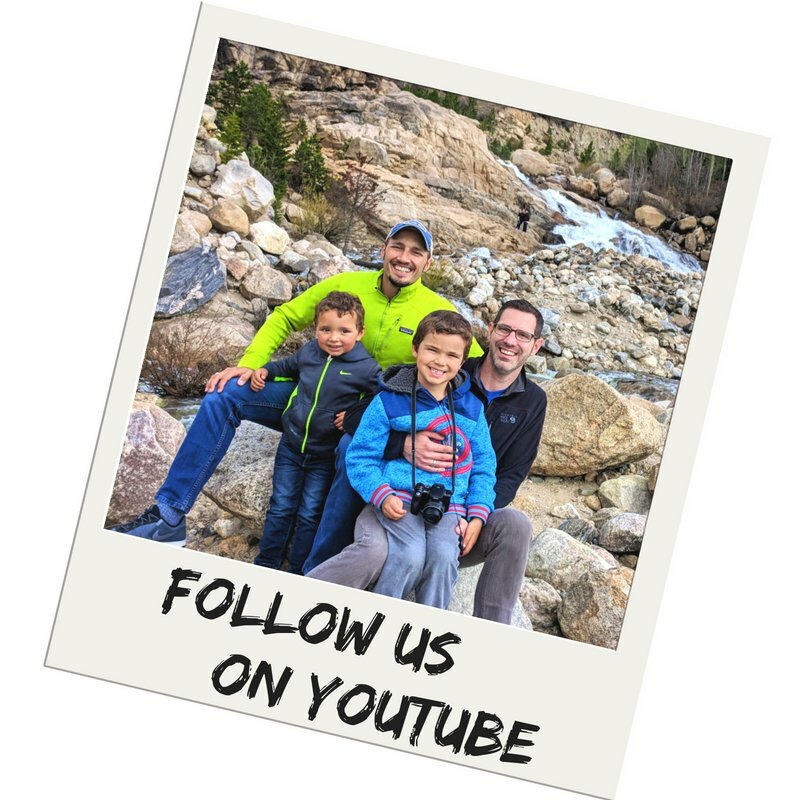 Note: if you’ve not done a guided hike before, they are a favorite of 2TravelDads. We have done them in the Canadian Rockies and the Oregon High Desert and can attest that experiencing nature with a passionate, certified guide is an exceptional experience and when it comes to the Baja, this is one of the best ecotours in Cabo. So if you have ever imagined reaching out to nature, petting whales, swimming with the largest fish in the ocean, or hiking with local ranchers through incredible cactus forests you need to plan a visit to Baja California where an unexpected world of adventure awaits you. It is easy to be based out of Cabo San Lucas, San Jose del Cabo, or even La Paz. 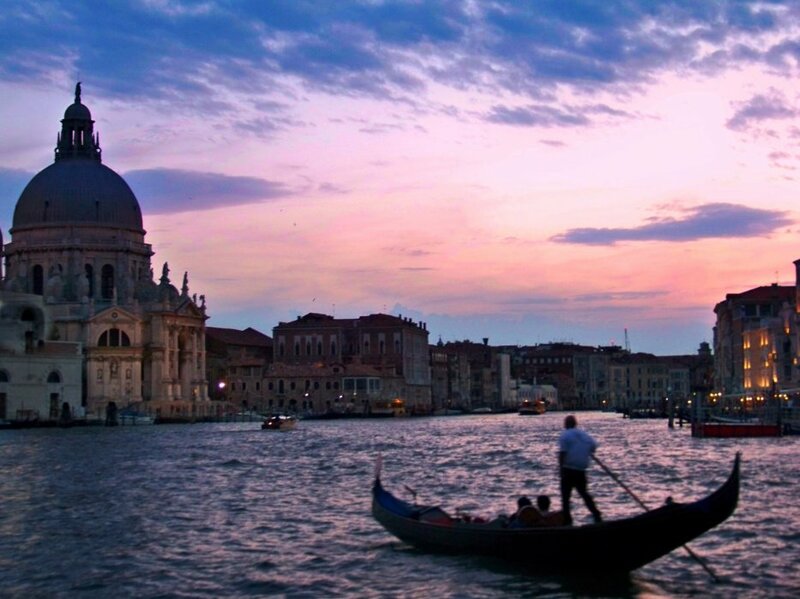 Ecotours are available out of each home base city and you won’t be disappointed. It can be easy to grab whatever is convenient while you’re traveling when it comes to daily supplies. Think about the planet though, particularly when heading out into nature. 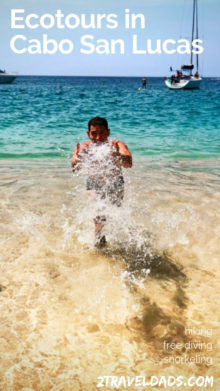 Please, always use biodegradable sunscreen that is marked as “reef safe.” You’ll need sun protection in the Mexican heat, and if you’re using sunscreen that may wash off as you’re snorkeling in Cabo, you need to be responsible about leaving no trace and not impacting the nature underwater. Also, a reusable water bottle is a must. Water and staying hydrated is very important for the safety of you and your family. Bring your own reusable water bottle everywhere you so, and please ask for “vasos of aqua” at the table for dinner not plastic bottles. 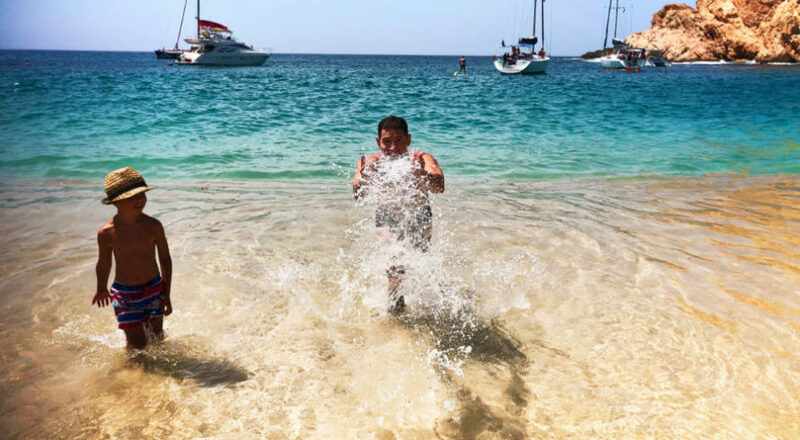 In Cabo San Lucas and nearly everywhere in the tourist areas of Mexico, there is clean, tanked water for drinking. Many restaurants have water service that’s considered sustainable, so drinking bottled water continually is very unnecessary. Don’t contribute to the plastic bottle issue plaguing the oceans. Every little step helps. Want to pin this for your own travel planning to Los Cabos, Baja California, Mexico? Go for it!! !